I think I must be the only person in the world to have done Couch to 5K and not fallen in love with running. 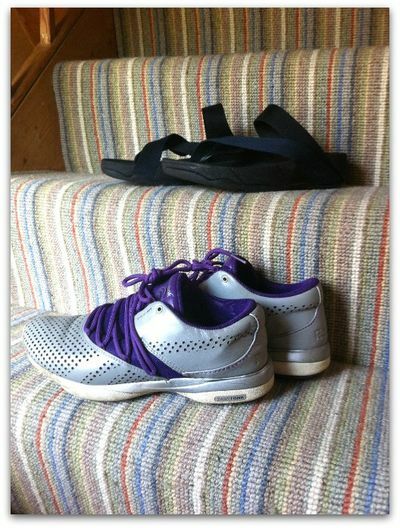 If anything, the main thing it taught me was how much I enjoy my regular gym classes – the ones I used to do before I took up running. So now I am back at BodyCombat (martial arts aerobics and shouty music) and BodyPump (lifting weights and grunting). The great side-effect of taking a break whilst I was doing the running program is that I really look forward to doing these classes again. And the classes are much more enjoyable since all the New Year’s resolution people who packed them out in January are long gone. Possibly it’s the heat that’s seen them off. The air conditioning in my gym is sporadic at best, and when it’s having an off-day then it can feel like trying to move through treacle. But moving through treacle should still get you fit, right? Sort of like a hellish form of water aerobics. With the kids finishing school this week I am looking for other ways to keep fit during the summer. 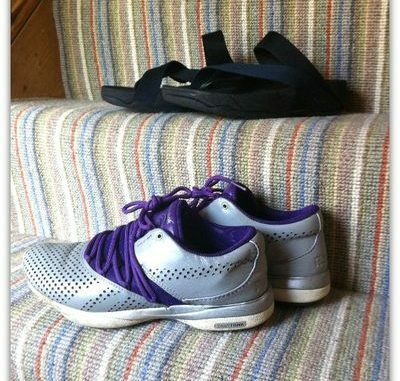 I could keep fit with Reebok trainers – I have their Easytone shoes which are supposed to keep you fit whilst doing normal walking. Wore them once on a day out round Legoland and thought I’d been kicked in the bum (always the sign of a good workout). I also have a pair of FitFlops, which are basically big chunky sandals that supposedly also do some sort of magic toning when you wear them. I live in a house with a lot of stairs, so I can easily do 5,000 steps a day just by going to the loo and running away from Dennis the Cat. And by the way, never ever believe anyone who tells you that they keep fit simply by running around after their kids. Unless the kid’s name is Mo Farah, it’s unlikely to be true. Repeat 3 times a week for the rest of the summer and you will be fit for anything. This is a sponsored post but I have not been told what to write and all thoughts (and shoes) are my own.